Cilantro Scramble with Spiced Black Beans | Naturally.Cilantro Scramble with Spiced Black Beans | Naturally. 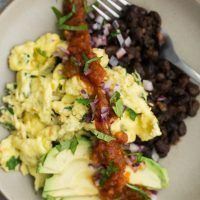 One of my favorite power breakfast, this scramble relies on precooked spiced black beans to accompany the easy cilantro scrambled eggs. Heat a small nonstick skillet over medium-low heat. Add the butter and melt. Whisk together the eggs, milk, cilantro, and salt. Pour into the pan and cook/stir until eggs are just set. Remove from heat and stir in the cotija cheese. Place the beans on the plate followed by scrambled eggs. Add your favorite toppings such as more cilantro, avocado, and salsa. Tips & Tricks: Find the recipe for spiced black beans here. 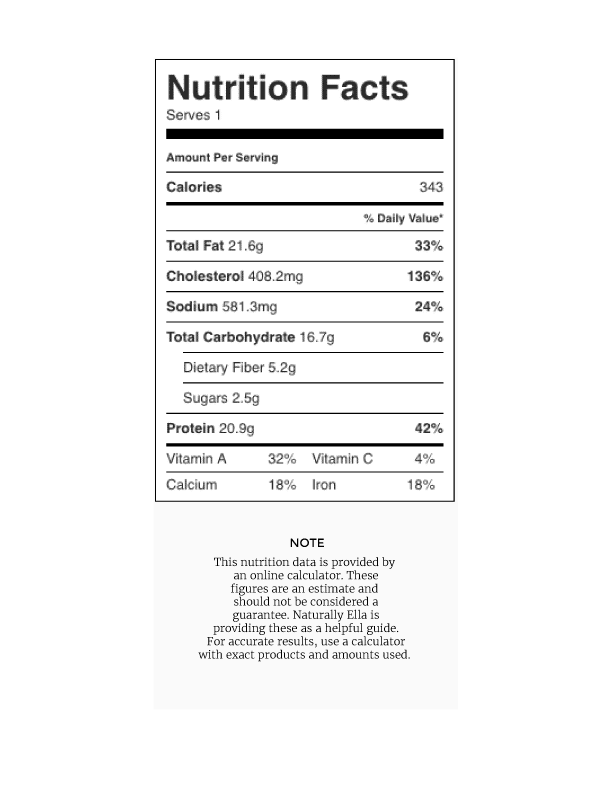 Scrambled egg purist? Check out Bon Appetit’s musts when making scrambled eggs.